Most people are surprised to learn how common dry eye syndrome is. Almost half—48 percent—of American adults regularly suffer from the symptoms of this disorder. 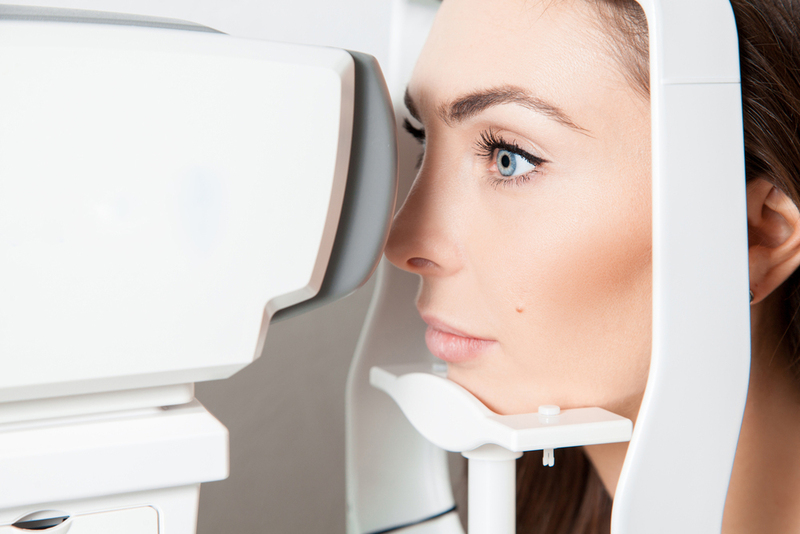 Fortunately, our optometrist offers a number of treatments that can bring relief to patients who visit our Main Street Optometry practice in Northport. Dry eye syndrome develops after a chronic lack of acceptable lubrication and moisture on an eye’s surface. It is commonly associated with aging. In order to stay healthy and comfortable, an eye needs a sufficient and consistent tear layer on its surface. An inadequate quantity or a substandard quality of tears causes dry eyes. A number of health conditions linked to dry eyes. Among them are certain eyelid problems and systemic diseases such as Sjögren’s syndrome, rheumatoid arthritis, diabetes, lupus, and disorders associated with the thyroid. Birth control pills, antidepressants, some blood pressure medications, and antihistamines also play a role. Our doctor of optometry diagnoses this disorder after a comprehensive eye exam. One helpful tool is the Schirmer’s test to measure eye moisture. Treating any eyelid of eye surface inflammation with drops or ointments, lid massage, warm compresses, and/or eyelid cleansers. Don’t let a dry eye problem interfere with your daily activities. Our Northport eye doctors, Richard E. Young, and Arlene Vazquez provide a full range of eye and vision care as well as emergency services. The foundation of our Main Street Optometry practice is professional care and personal attention. Be sure to call us today at 631-757-6190 to schedule an appointment with either optometrist for your next exam.